With a tragic inevitability the establishment of such profit-seeking ventures in what was formerly a pristine ecology has resulted in pollution, affecting wildlife and Tibetan communities who depend upon such water. What has the high-profile Spanish corporation to say of such eco-terrorism? 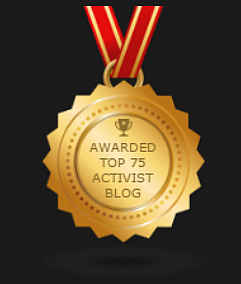 Maybe we are a touch under-informed, idealistic but is there not legislation operating within the European Union which restricts or prevents European corporations from activities and or partnerships which raise issues of ethics and/or can impose suffering or environmental damage to people’s beyond the EU? Furthermore, does that fragile institution not have policies, and a moral integrity, which impose a number of regulatory requirements upon European companies that seek to collaborate with China’s regime. Particularly in which an oppressed people, such as Tibetans are marginalized and whose lands and culture are negatively impacted as a consequence of such a venture? 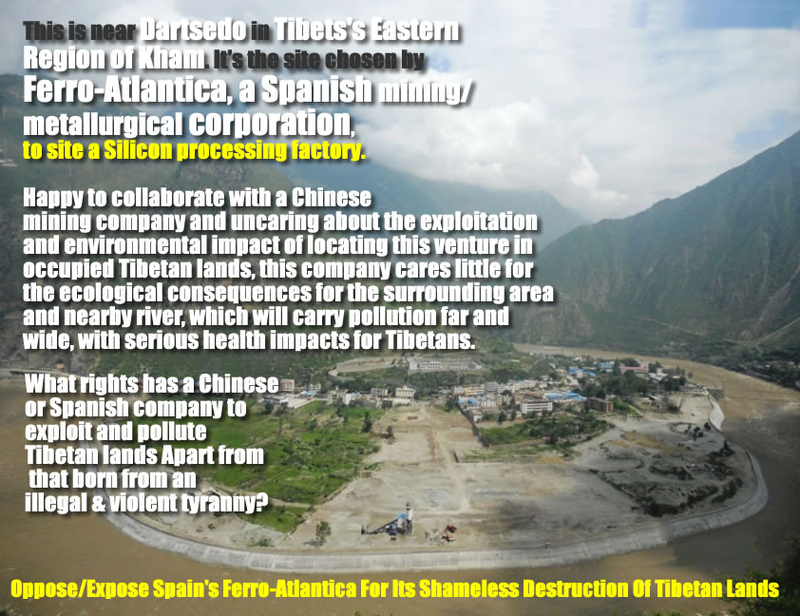 That being so would someone at the European Union or Parliament care to explain the presence of Ferro-Atlantica, a Spanish Corporation operating near the Tibetan town of Dartsedo, in Tibet’s Eastern Region of Kham. See Here Has this company been subject to any environmental, ethical regulations, or assessed in terms of the ecological effects of its operation upon Tibetans and their environment? Have procedures been diligently followed? If so by whom and when? We consider these to be important questions for the EU to address, which is always ready to issue platitudes in praise of the Dalai Lama, yet seems less outspoken on China’s environmental record in its colonialist exploitation of occupied Tibet. Surely it has something to say on the role of a Spanish corporation operating inside Tibet and the serious environmental consequences of locating a Silicon processing plant in such a pristine environment,apart from troubling questions on the ethics of collaboration with a regime that is viciously suppressing local Tibetans. If you are based with the European Union you can be a real force for good by raising this issue with your MEP. Ask them to submit questions on Ferro- Atlantica and its presence in occupied Tibet, along with the environmental and ethical concerns mentioned above. Request your MEP to obtain documentation as to what regulatory, environmental or ethical policies were exercised by the EU in endorsing this venture, to identify if an independent, EU approved, ecological risk assessment was carried out, and what system of monitoring it has put in place to properly evaluate any environmental impacts.